Your hands will no-more smell like garlic or onion when you cook. Handy little things to own. No more mess and smelly hands!! Brilliant wee item makes life much easier! 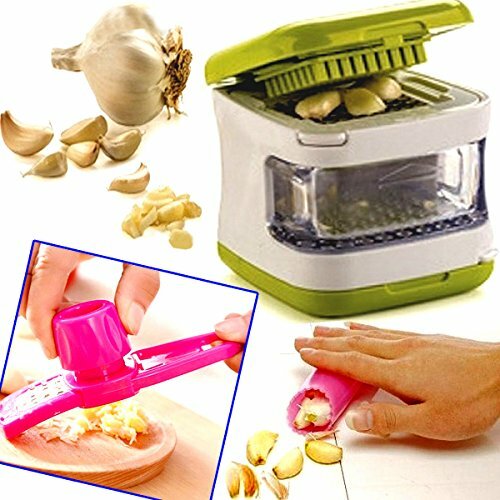 Not only do you get the garlic chopper you also get a garlic peeler and a mini garlic grater! Easy to use and pops in the dishwasher no problem which is easy cleaning always a bonus lol.